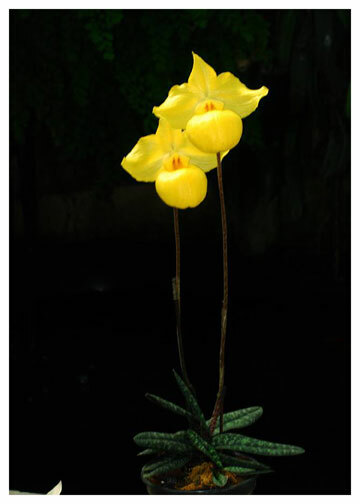 Paph armeniacum blooms on a compact plant, which is often dwarfed by the size of the flower. The plant pictured is blooming in a 3" pot! The bud develops very slowly turning from green to yellow-green as it matures . 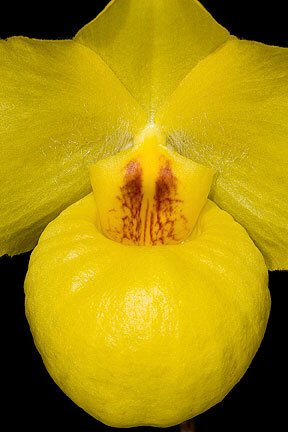 Once the flower open the pouch slowly inflates to its full size. 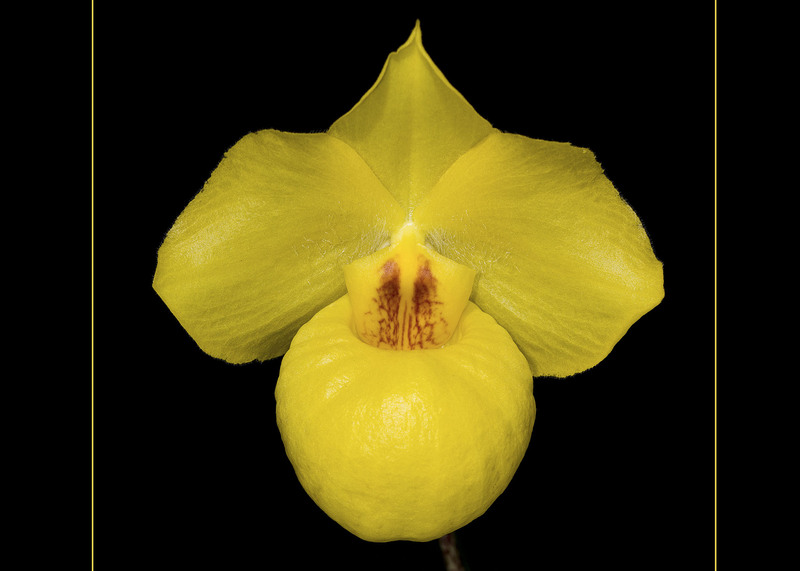 Arguably the most striking of the parvisepalums, paph.armeniacum has garnered almost 100 AOS awards since its introduction in the US more than a decade ago. Even so, its popularity remains undiminished. 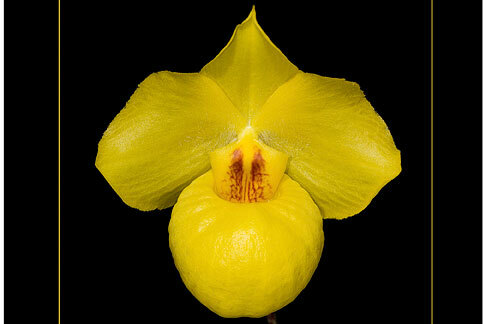 With its large golden yellow flowers and amazing pouch, it is easy to see why.